Free baggage storage is available to all guests before you check-in and after you check-out of your room. The baggage room is video monitored and is open only during business hours. 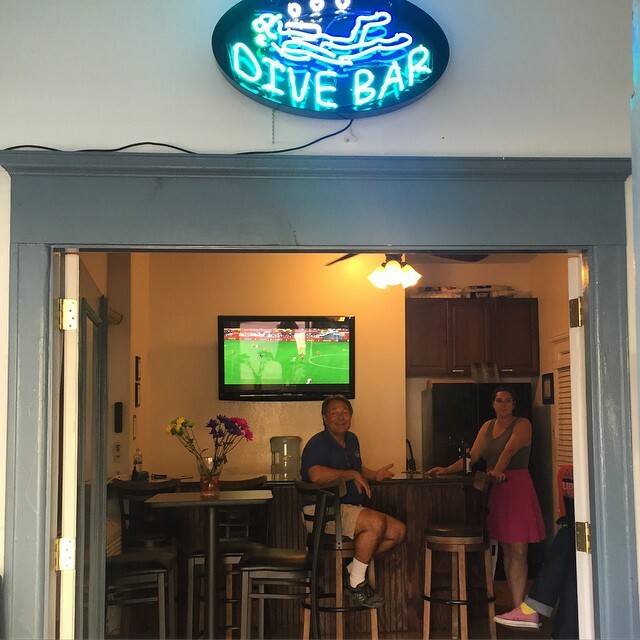 Over the years we have become a favorite within the diving community, and we strive to make stays convenient for our diver friends by offering specific amenities you’ll find helpful. Dive Lockers can be issued to you or your group at no charge to store your heavy gear. Request these at the time you’re making your reservation to make sure we hold one for you. These are accessible to you 24 hours a day. Outdoor Dive Gear Shower. Divers, you can rinse your wetsuits and gear after each dive. Post-Checkout Clean-up. 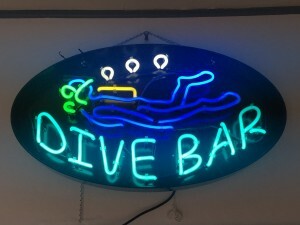 A full day of diving planned after your morning checkout? Not to worry! After your morning checkout on the day of your departure, feel free to store your bags in our Baggage Room all day. When you return for your bags prior to catching your boat home, we have indoor showers available for you to freshen up prior to heading home for just a $5 fee (includes one towel, shampoo and soap). Guests may relax in our lobby, where a computer and free wi-fi are available. Lounge with a book in one of the comfy chairs throughout the hotel or perhaps enjoy a little sunning and people-watching from one of our second- or third-floor balconies. Grab a beer or glass of wine in our “pub.” Open most weekends in the afternoons/early evenings. * In essence, your dog is allowed but should basically have his/her own travel kit and be able to abide by all of the above restrictions; certain other restrictions may also apply. Click for City of Avalon restricted pet areas. Violations of this policy may result in immediate forfeiture of occupancy and any prepaid rents. 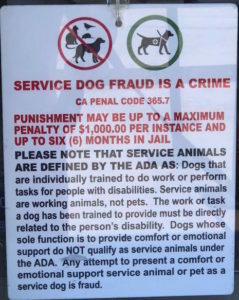 Service fees may apply for violation of any of the above. Certain other restrictions may apply. 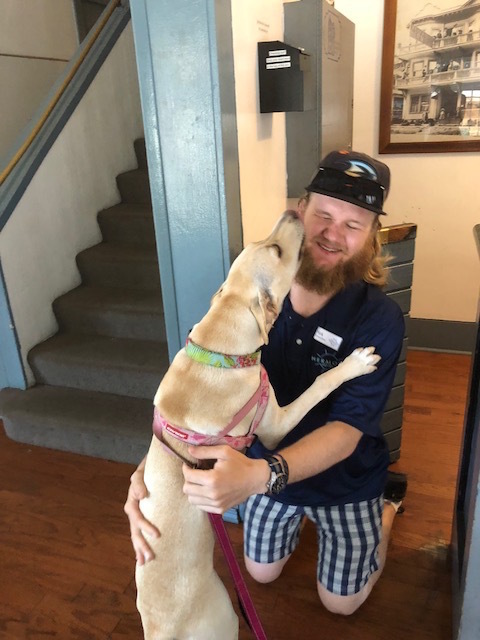 Catalina Express allows pets to travel free in a carrier or on leash with a muzzle; however, the Catalina Flyer (via Newport Beach) does NOT allow pets on the boat. It’s a nice, flat walk along the bay to our hotel. We are half block up the second street past the green pier OR there are taxis available when the boats dock (~$10 fare).